The highly anticipated second book in the New York Times bestselling Matched trilogy! Perfect for fans of 1984, Brave New World, Black Mirror, and The Handmaid's Tale. Chasing down an uncertain future, Cassia makes her way to the Outer Provinces in pursuit of Ky--taken by Society to his certain death--only to find that he has escaped into the majestic, but treacherous, canyons. On this wild frontier are glimmers of a different life . . . and the enthralling promise of rebellion. But even as Cassia sacrifices everything to reunite with Ky, ingenious surprises from Xander may change the game. On the edge of Society, nothing is as expected, and crosses and double crosses make Cassia's path more twisted than ever. Look for the epic series finale, REACHED! "[A]n action-driven sequel, steered by characters who break the rules, form new alliances and commit to surprising paths." 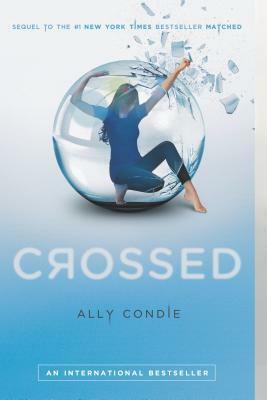 Ally Condie is a former high school English teacher who lives with her husband and family outside of Salt Lake City, Utah. She loves reading, running, eating, and listening to her husband play guitar.